My son Oliver had his first dental cleaning. He was so well behaved and tolerated the procedure really well. 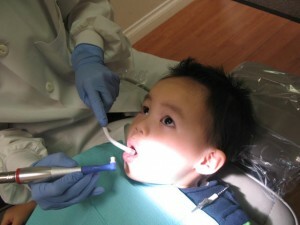 He especially liked it when our hygienist washed his teeth with the water spray. We love treating kids!